Boneseed (Chrysanthemoides monilifera ssp. monilifera), and bitou bush (Chrysanthemoides monilifera ssp. rotundata) are South African coastal plants that have become invasive in Australia and New Zealand. They can invade both undisturbed and disturbed areas, and proliferate because of their rapid growth, large seed production, lack of predators or pathogens, and adaptability to new environments. C. monilifera outcompetes native vegetation and can form dense canopies. Bitou bush (Chrysanthemoides monilifera ssp. rotundata) is a perennial, evergreen shrub, normally 1-2m high, but it can form canopies up to 10m high. It is a sprawling shrub, with stems branched and woody, and the upper stems often purple. Leaves are 20-80mm long, oval to oblong, tapering at base and alternate along the stems. Leaves have smooth edges. Bitou bush has an extensive root system and appears to be more aggressive than boneseed (Chrysanthemoides monilifera ssp. monilifera). It has yellow, chrysanthemum-like flowers that are up to 20mm in diameter, and are clustered at the ends of branches. Fruit has a green fleshy skin that becomes brown and black on maturity, and contains a single egg-shaped seed 5-7mm long that is dark brown to black when dry (CRC, 2003a). In contrast boneseed C. m. monilifera grows as an erect bush, and has leaves with serrated edges (CRC, 2003b). Boneseed flowers from August to February. 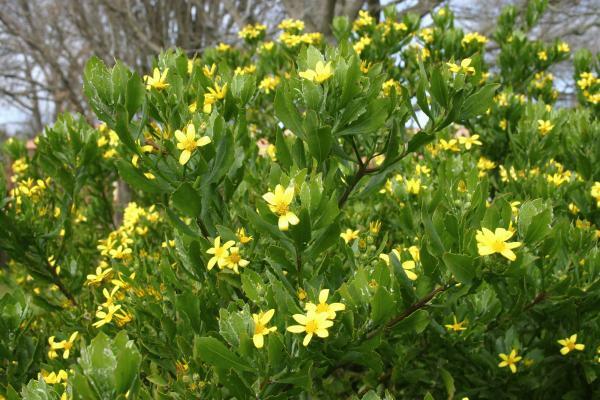 The flowers are characterized by a bright yellow and daisy-like appearance and are typically 25-30 mm in diameter. Each flower consists of 5 to 6 ray florets that are 13 mm in length accompanied by a number of disk florets. The leaves of boneseed are smooth and leathery, with a length of up to 7cm long and width of 3.5cm wide. Additionally, they are irregularly serrated with 3 to 9 teeth each side. In younger plants, the stems are generally wolly and ribbed, eventually becoming smooth as they mature. Fruits are round and green with very thin, but hard fleshy covering. As they ripen, they become darker in colour (DOC, undated; RNZIH, 2005). Results of a study by Barker et al (2009) indicate the existence of substantial intraspecific variation within C. monilifera. The authors of the study observe that the results obtained from this study are of significance to scientists working on the biocontrol of this species especially in the ascertaining of the genetic lineage and geographic origins of the invasive plants so more effective biocontrol agents can be identified from their natural populations. Boneseed and bitou bush can hybridise to produce fertile plants with intermediate characteristics (ARMCANZ 2000). Bitou bush can flower year round, but peaks between April and June. Fruit ripens during winter and early spring (CRC, 2003a). Boneseed forms flowers in late winter and spring, but are not shed until summer (CRC, 2003b). Bitou bush grows in a range of environments, from open exposed dunes to shaded forests. It is tolerant of shade, salinity, strong wind, windblown sand and water, drought, low nutrients, and to some extent, disturbances such as fire. It grows poorly in wet or swampy soils and has a low tolerance to frost. Boneseed also grows under a wide range of climatic conditions, but prefers sandy or medium-textured soils and disturbed situations, particularly near the sea. Boneseed is fire sensitive, whereas bitou bush is more variable in its response, depending on the intensity of the fire (CRC, 2003(a)(b); ARMCANZ 2000). Both bitou bush and boneseed seeds germinate at any time of the year, but mostly in autumn, remaining viable for at least two years. Seedlings grow rapidly during winter and a few plants may flower in the first year (in particular on burnt areas where there is little competition). Usually, however, plants are at least 18 months or up to three years before flowering (CRC, 2003(a)(b)). 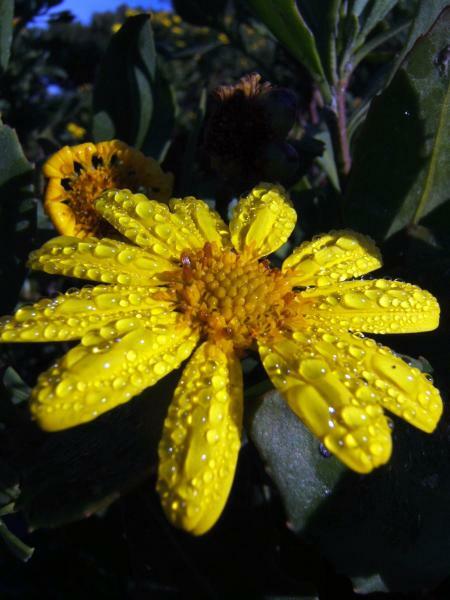 Chrysanthemoides monilifera was used in Australia to revegetate areas after sandmining from 1946 to 1968 (CRC, 2003a).It is most likely that Chrysanthemoides monilifera was first introduced to Australia via ship ballast water (CRC, 2003a). 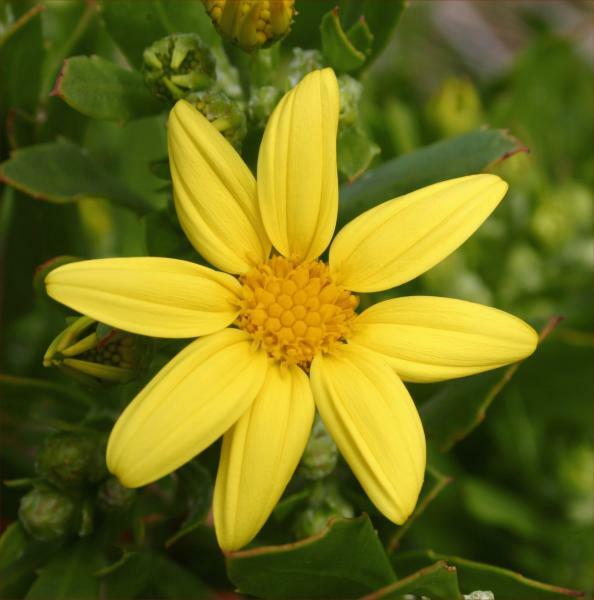 Recommended citation: Global Invasive Species Database (2019) Species profile: Chrysanthemoides monilifera. Downloaded from http://www.iucngisd.org/gisd/species.php?sc=1350 on 21-04-2019. Chrysanthemoides monilifera outcompetes native vegetation in coastal environments in Australia and New Zealand, and invasion can lead to a decline in both floral and faunal diversity, changing ecosystem composition. It grows in a range of habitats, and will resprout after fire, slashing or herbicide application. In addition, it can create a favourable environment for other invasive weeds, such as asparagus fern (Asparagus densiflorus), lantana (Lantana camara) and glory lily (Gloriosa superba) (CRC, 2003(a)(b)). Preventative measures: Prevention and early intervention is the most cost-effective form of weed control. Once an infestation of Chrysanthemoides monilifera occurs, it is important to prevent the spread of seeds into surrounding areas. Established plants should be destroyed before they flower. Raising awareness amongst recreational vehicle users is important in coastal areas where seed can be spread by their activity (CRC, 2003a). The Australian Weed Committee's Bitou bush and Boneseed Management Manuals compile and evaluate best-practice management techniques currently being used by a range of community volunteers and land managers in Australia. They provide detailed information on effective bitou bush and boneseed control techniques in various situations, and advice on developing a comprehensive management plan. A bitou bush and boneseed species profile that describes in detail their physical characteristics, distinguishing features and descriptions of similar species to aid in accurate identification is also available. This information will help people choose the most appropriate control methods for their site. Please follow this link for detailed information on physical, chemical and biological control options. Informations on Chrysanthemoides monilifera has been recorded for the following locations. Click on the name for additional informations. Adair, R. J.; Holtkamp, R. H., 1999. Development of a pesticide exclusion technique for assessing the impact of biological control agents for Chrysanthemoides monilifera Biocontrol Science & Technology. 9(3). Sept., 1999. 383-390. Agriculture & Resource Management Council of Australia & New Zealand (ARMCANZ) 2000. Australian & New Zealand Environment & Conservation Council and Forestry Ministers. Weeds of National Significance Bitou Bush and Boneseed (Chrysanthemoides monilifera ssp. rotundata and monilifera) Strategic Plan. National Weeds Strategy Executive Committee, Launceston. Batianoff, George N, 1997. 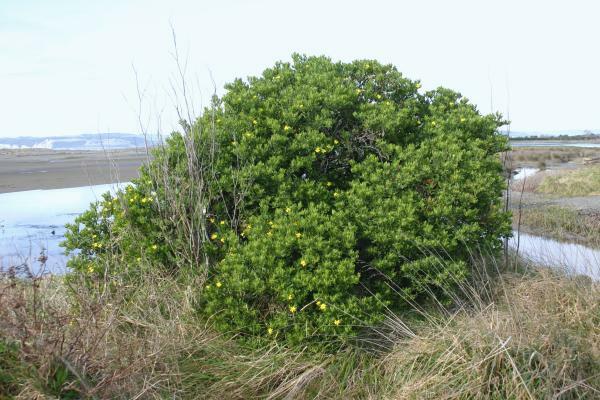 A beachcomber s notes on bitou bush (Chrysanthemoides monilifera subsp. rotundata (DC.) Norl.) in Queensland. Plant Protection Quarterly. 12(4). 1997. 177-179. Benham, S. P., pers. comm.., 2008. Steve P. Benham, Biodiversity Ranger-Flora, Department of Conservation, New Zealand. Bradfield, G. 2007. Boneseed busting. Weedbusters website. Brougham, K. J., Cherry, H and Downey, P. O (eds), 2006. Boneseed Management Manual: current management and control options for boneseed (Chrysanthemoides monilifera ssp. monilifera) in Australia. Department of Environment and Conservation NSW, Sydney. CRC, 2003b. Weed Management Guide Boneseed (Chrysanthemoides monilifera ssp. monilifera). CSIRO. 2008. Rust fungus to tear backbone out of boneseed. CSIRO Entomology., 2007. Bitou bush (Chrysanthemoides monilifera sp. rotundata). Biological Control Agent: leaf-rolling moth, Tortrix sp. Department of Conservation. 2005. Motuihe Weed Control Strategy. Draft June 2004, with updates to October 2005. Edwards, P. B., 1998. 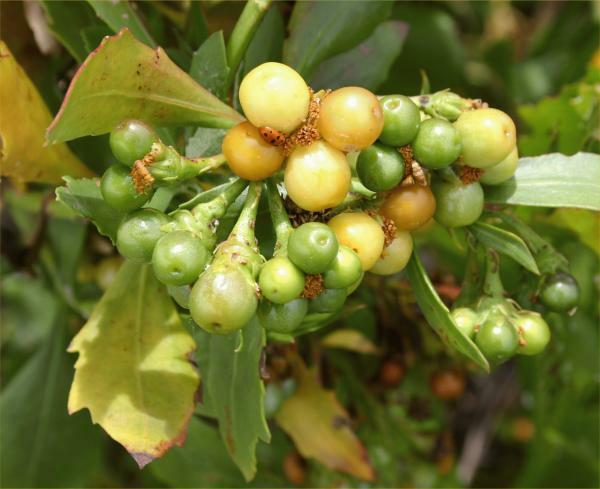 Seasonal abundance and parasitism of Mesoclanis seed flies (Diptera: Tephritidae) in South Africa, and implications for the biological control of Chrysanthemoides monilifera (Asteraceae) in Australia. Bulletin of Entomological Research. 88(4). Aug., 1998. 407-414. Edwards, Penelope B.; Holtkamp, Royce H.; Adair, Robin J. 1999. Establishment and rapid spread of the bitou seed fly, Mesoclanis polana Munro (Diptera: Tephritidae), in eastern Australia. Australian Journal of Entomology. 38(2). May 4, 1999. 148-150. Environment Waikato. 2003. Beachcare group wins community award. Environment Waikato. 2006. Weed amnesty for Raglan. Media release. Laurence, J., pers. comm., 2008. John Laurence. Motuihe Trust chairman. Auckland. NZ. Manawa. 2004. Habitat restoration/biodiversity: Motuora - progress on planting year 2004. Matarczyk, Julie A.; Willis, Anthony J.; Vranjic, John A.; Ash, Julian E., 2002. Herbicides, weeds and endangered species: Management of bitou bush (Chrysanthemoides monilifera ssp. rotundata) with glyphosate and impacts on the endangered shrub, Pimelea spicata. Biological Conservation. 108(2). December, 2002. 133-141. Scott, John K., 1996. Population Ecology of Chrysanthemiodes monilifera in South Africa: Implications for its Control in Australia. The Journal of Applied Ecology, Vol. 33, No. 6. (Dec., 1996), pp. 1496-1508. Winkler, M. A., Cherry, H and Downey, P O (eds) 2008. Bitou bush Management Manual: current management and control options for bitou bush (Chrysanthemoides monilifera ssp. rotundata) in Australia. Department of Environment and Climate Change (NSW), Sydney. Batianoff, George N; Franks, Andrew J., 1998. Environmental weed invasions on South-East Queensland foredunes. Proceedings of the Royal Society of Queensland. 107(0). Sept. 11, 1998. 15-34. Government of South Australia., 2005. Infestation Level of Chrysanthemoides monilifera (Boneseed) by Hundreds in the State of South Australia. Meek, Paul D., 1998. Weed seeds and whoopsie daisies : Viability of bitou bush Chrysanthemoides monilifera seeds in fox (Vulpes vulpes) scats. Plant Protection Quarterly. 13(1). 1998. 21-24. O Shea, E. M.; Kirkpatrick, J. B., 2000. The impact of suburbanization on remnant coastal vegetation in Hobart, Tasmania. Applied Vegetation Science. 3(2). December, 2000. 243-252. Thomas, P. B.; Possingham, H.; Roush, R., 2000. Effects of soil disturbance and weed removal on germination within woodlands infested by boneseed (Chrysanthemoides monilifera ssp. monilifera). Plant Protection Quarterly. 15(1). 2000. 6-13. USDA, ARS, 2008. Chrysanthemoides monilifera (L.) Norl. Germplasm Resources Information Network - (GRIN) [Online Database]. National Germplasm Resources Laboratory, Beltsville, Maryland.